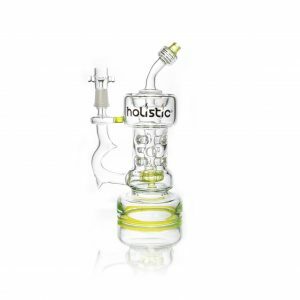 Home / Shop / Holistic Glass / Holistic Waterpipes / 8″ Holistic Recycler with Barrel Perc. Bent mouthpiece. Recycler Arm. 8″ Holistic Recycler with Barrel Perc. Bent mouthpiece. Recycler Arm. Holistic Recycler with Barrel Perc. Bent mouthpiece. Recycler Arm. Holistic Recycler with Barrel Perc. Bent mouthpiece. Recycler Arm. Like bubbles? 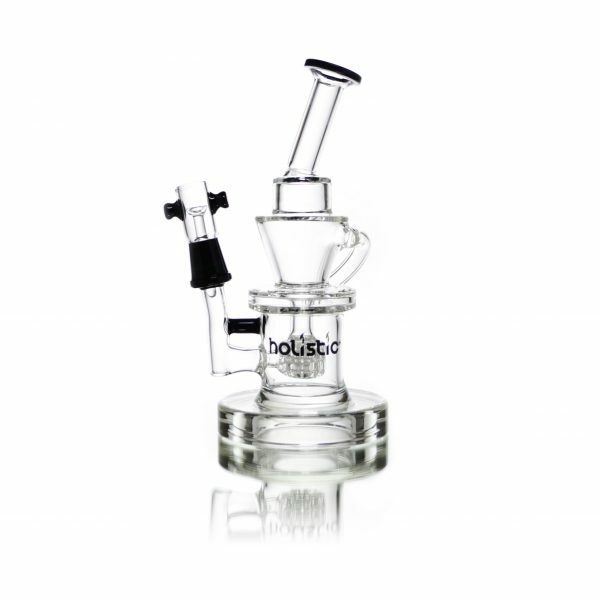 This tiered recycler with barrel perc is going to give you bubbles on bubbles. Not to mention the recycling arm, which is just gonna keep the smoke spinning until you’ve got the thickest, strongest hit you can handle. The hit will be strong, and the smoke thick, but it’ll be easy to draw because the Barrel Perc will keep the smoke cold. 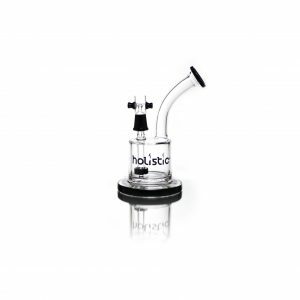 Continuing the tradition of performance, form, and function you’ve come to expect out of us at Holistic this bubbler is everything you need in an oil rig. 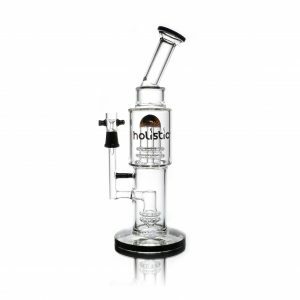 It stands at 12 inches tall from base to the top and contains a barrel perc. 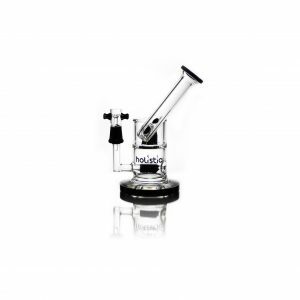 The recycler arm spins the smoke back through the perc. This is where the smoke cools off and the draw turns from hot smoke to smooth, white clouds. Meanwhile, the tiered glass and bent mouthpiece make sure nothing but smoke hits your lips, and not until it’s as fluffy white as you want. Just because it’s set up for concentrates, doesn’t mean you can’t also experience the recycler experience with dry herbs.